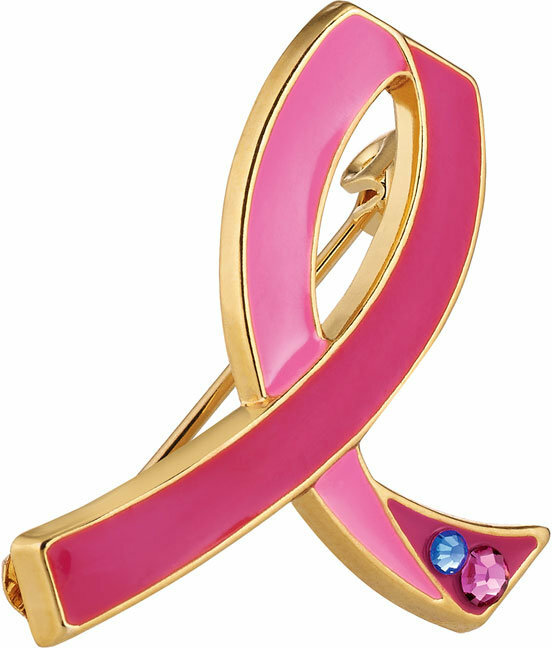 An elegant pink pin in the iconic pink ribbon design with one pink, and one blue stone. The blue stone represents male sufferers of breast cancer, currently affecting around 1% of all those diagnosed with the disease. How much of the money goes to supporting PINK projects? All of it. The whole kit and caboodle. I absolutely love the nod to the men who suffer breast cancer. They’re so often forgotten in the sea of pink. I’ll definitely head to my nearest counter to pick one of these up. Lovely pin. However, the wording is incorrect. As it is currently written, it implies that 1% of ALL MEN get breast cancer. I assume it was meant to say that 1% of breast cancer cases affect men. Quite a difference, no? I beg your pardon Amy, I have corrected this.